While people tend to reminisce on the good old days of animated juggernaut Cartoon Network with things like Johnny Bravo, Dexter’s Laboratory, and Courage the Cowardly Dog, I tend to hold the series of the early 2010s more favorably. Adventure Time, Regular Show, and Steven Universe have an excellent balance of mature storytelling and all-ages entertainment, while shows like The Amazing World of Gumball, Clarence, and Uncle Grandpa are just wacky, goofy fun. With three of these shows ending within the next couple of years, I’m grieving the fact that only two of these series received console or handheld adaptations. Cartoon Network: Battle Crashers hopes to fill this void, including six popular cartoons, but it ends up being a generic mishmash of uninspired gameplay and disappointing presentation. Gumball is probably having more fun with you, but that’s because you’re never going to use him. The modicum of story we get from Battle Crashers (literally less than a couple of minutes) revolves around a short voiceless sequence where Uncle Grandpa accidentally uses interdimensional travel to pull the main characters from Adventure Time, Regular Show, Steven Universe, The Amazing World of Gumball, and Clarence together. This beat-em-up brawler pits these characters as a team as they fight against foes from their respective shows, with supporting characters assisting along the way. I’d excuse the contrived plot of this whole affair if it wasn’t for the fact that nothing is voiced, and, save for an introductory text dialogue when you first meet a playable character, there’s no interaction between the heroes and supporting cast. Sure, I can talk with Flame Princess from Adventure Time, who will warn me about a new obstacle, but there’s no witty banter between any of the characters. While the different worlds represented are interesting locales, the character models are uninspired. It’s basically like these characters exist in their own world and don’t interact to the bizarre situation they’re in, which is a shame because the idea of an interdimensional crossover could have made to feel exciting. I would have enjoyed Moredcai and Rigby talk about how they beat up interdimensional monsters on a regular basis, for example. What time is it? Not fun time, that’s for sure. What’s worse than the story, however, is the generic gameplay. While the game feels like something ripped out of Final Fight or River City: Tokyo Rumble, it doesn’t feel as deep as those titles. Each character is given a basic attack and, once leveled up, a strong attack and a defensive maneuver, both of which use a separate charged gauge. You’d think that with six character options (Uncle Grandpa, Clarence, Gumball, Steven, as well as Finn/Jake and Moredcai/Rigby), there’d be a variety of moves and ways to dispatch enemies, but unfortunately each character’s moveset feels limited. There’s no way of chaining attacks, creating combos, or using different mechanics to your advantage, so gameplay just feels like mashing buttons and hoping that hits an enemy just right. It’s oddly cathartic for a few minutes, but after a few waves, it just feels repetitive. Each character can also use a special summon, which has other supporting characters tagging in to unleash a screen-filling attack. They’re only a few seconds long, but I do appreciate it. You can freely switch characters on the fly, and have to defeat enemies as well as dark crystals, that will rapidly spawn bad guys until you defeat them. While each character can deal with obstacles differently (Steven can use his attacks to break gem shields, while Clarence can use a water gun to extinguish fires), it doesn’t matter too much and I ended up overly reliant on the Finn/Jake and Mordecai/Rigby duos (the former dishes out the most damage while the latter specializes in some cheap long range attacks). In a particularly egregious example, the Finn/Jake duo is capable of damaging gem shields to the point that Steven ends up being useless. This is a good thing, as each character levels up separately through gems that fallen enemies leave behind. Having one character fall in battle means that you can still play with the remaining characters, so in case Gumball (who can negate the poison status) perishes, you can still wreak havoc with the others. Unfortunately, this also means that most battles are reduced to beating up baddies and getting to the end of the stage. The boss battles are interesting enough, but can’t save the rest of the game from being a menial slog. Waves of enemies will be coming around from all over the screen, but there are only a couple of unique ones in each world, so you’ll be fighting the same dozen or so models for a while. What’s perhaps the most atrocious aspect of the 3DS version, however, is the fact that this game is single-player only. You’ll feel the empty loneliness of the game on easier sections and wish you could bring another person in on harder ones. What’s even worse is the fact that slowdown exists when you get into more congested sections of a stage. For a four-player local multi-player game, I could imagine resources being taxing, but a game like this should not have an excuse for dipping framerates. Yeah, good luck running the game at full speed with this on your screen. Backtracking is a minor annoyance at best, and a terrible gimmick at worst. I find it detestable when the game could have gone smoother without it, and it unnecessarily adds a couple of hours to the experience. Additionally, you can unlock different difficulties (including one that makes the game easier, ironically), but I really see no reason in doing this since you’ll need to complete worlds in order to access them, making the aforementioned easy mode a moot point. Richard Watterson is already one of the least liked characters on The Amazing World of Gumball. Prepare to find more reasons to hate him here. 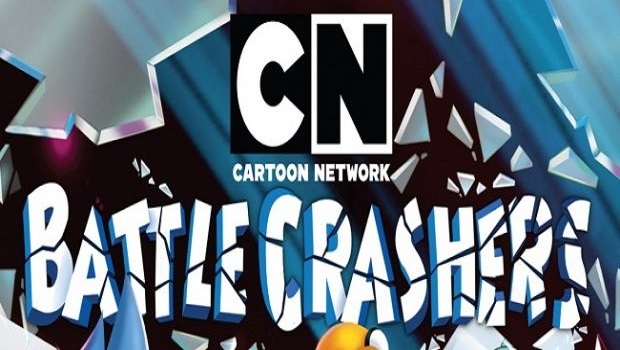 Cartoon Network: Battle Crashers could have been the crossover that fans have been waiting for. However, with the game including nothing that makes any of the series represented great, it ends up as another title in the pile of countless generic licensed games. We finally get an Uncle Grandpa video game?